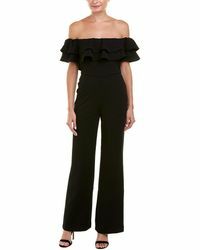 French designer Catherine Malandrino launched her eponymous label after lending her creative talent to the Diane von Furstenberg collection. By cleverly merging brilliant colours, flattering cuts and bold prints onto traditional forms, she continues to bring a trademark soft refinement to urban wardrobes. 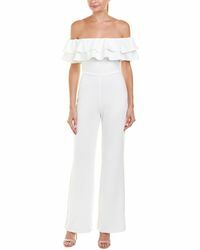 Synonymous with a chic elegance, Malandrino is famed for margining the hopeless romance of Paris and Provence with the lively edge of New York City. 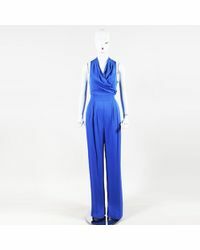 Catherine Malandrino jumpsuits are fashioned from premium fabrics and hang beautifully against the body. 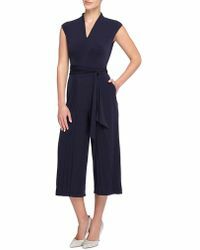 Full length jumpsuits, short overalls and jumpsuits are based in striking hues with draping, ruching and clinched waists creating a graceful air of sophistication.